Coordinator notes: Correct identification. 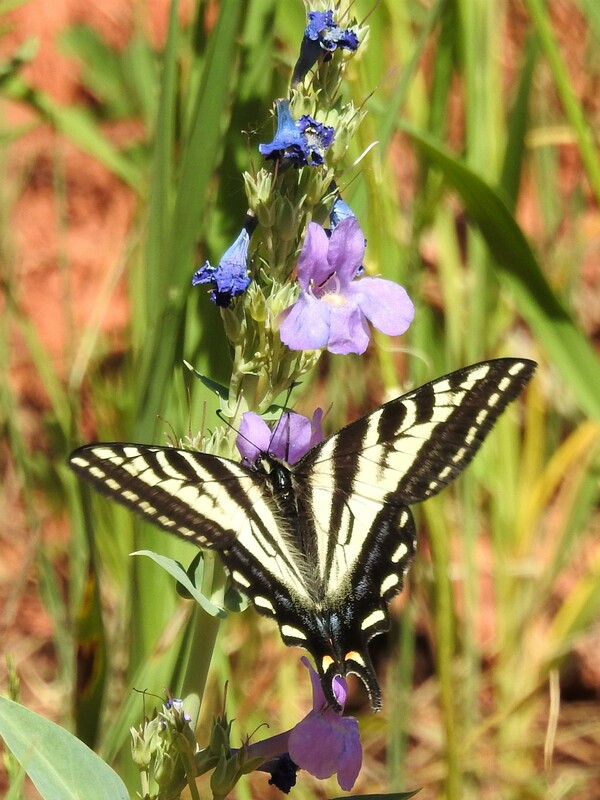 In photographs, faded Western Tiger Swallowtails can sometimes resemble Pale Swallowtails, especially depending on the lighting, but the thicker "tiger stripes" on the Pale Swallowtail separate the two. In Colorado, this species is most abundant in mid-June, usually in canyons (like where you saw this one).